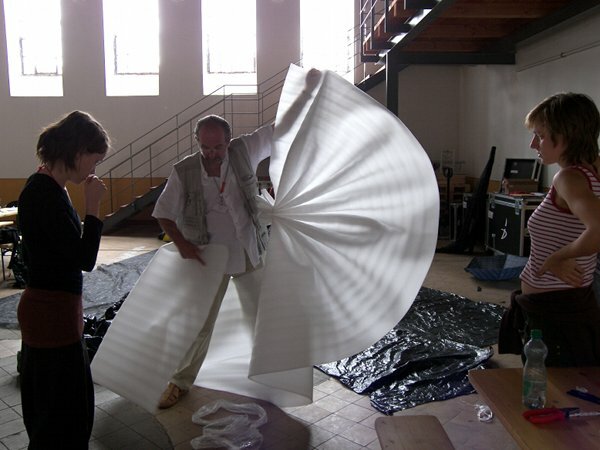 In 2007 I was invited by Ramon Ivars, a catalan set and costume designer, to give a 3-day combined workshop at the Scenofest (Prague Quadrinnale) on creating costume for dance. 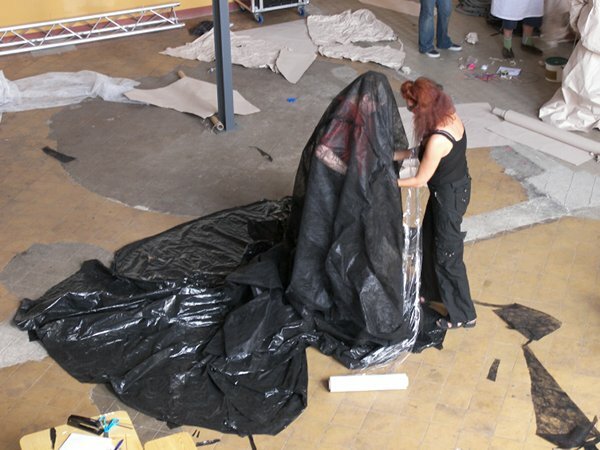 My part in the process was to help participants – student and professional designers – discover the expressivity of materials in motion. 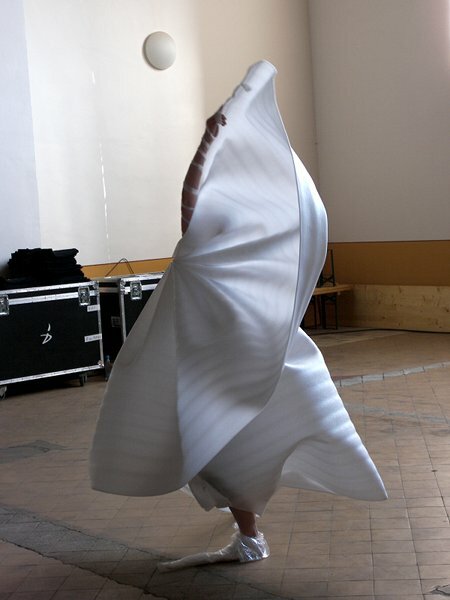 To my surprise, the notion of exploring material to find out what it is ‘saying’ was new to them and whilst they were used to playing with cloth to see how it hangs and moves on the body, they weren’t accustomed to asking what that movement could mean. 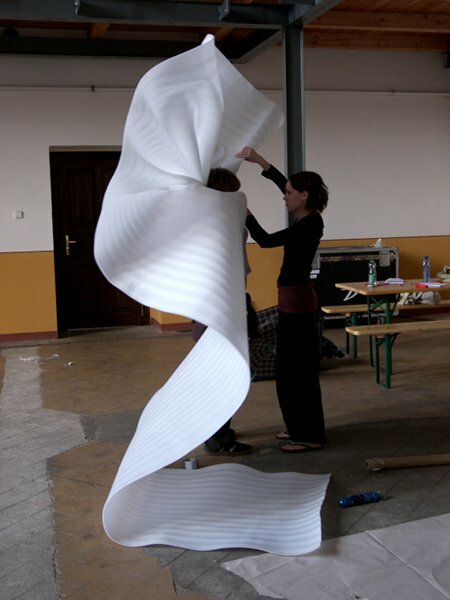 We began by observing flags fluttering in the wind, asking ourselves how the flags were ‘feeling’ and becoming sensitive to how emotion can be read into the rhythm and tension of fabric in motion. 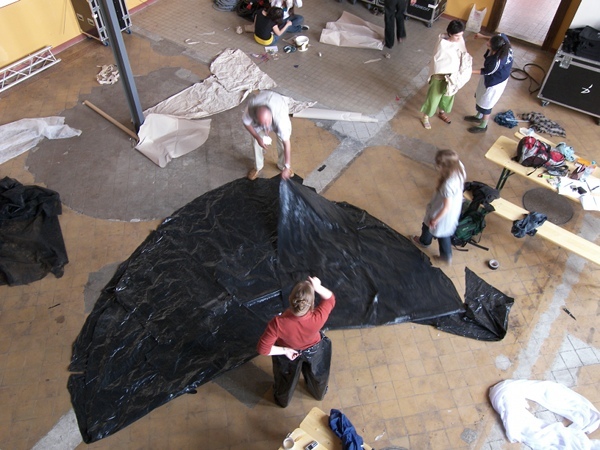 The day continued with an exploration of various recycled materials – plastic, paper, packing foam – to discover their potential for theatrical expression beyond their visual aesthetics. 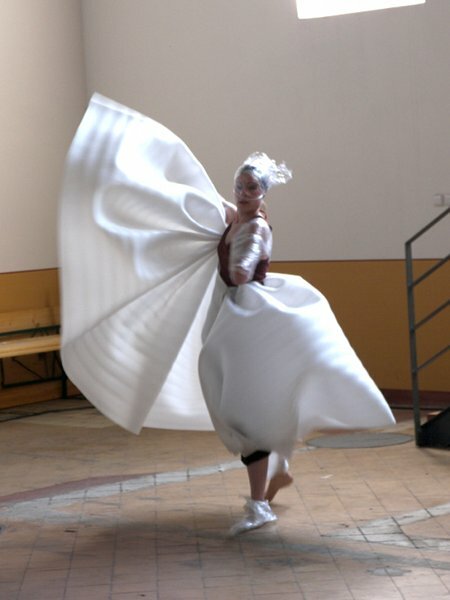 The following day Ramon presented the project for which the costumes were to be made – inspired by 31 different versions of the song, La Paloma – and led a session on creating costume from simple forms. The finished creations were a beautiful blend of a conceptual approach to design with the expressive discoveries made by playing with the material in motion. These birds were not for the eyes only – it was through movement that they really came to life.